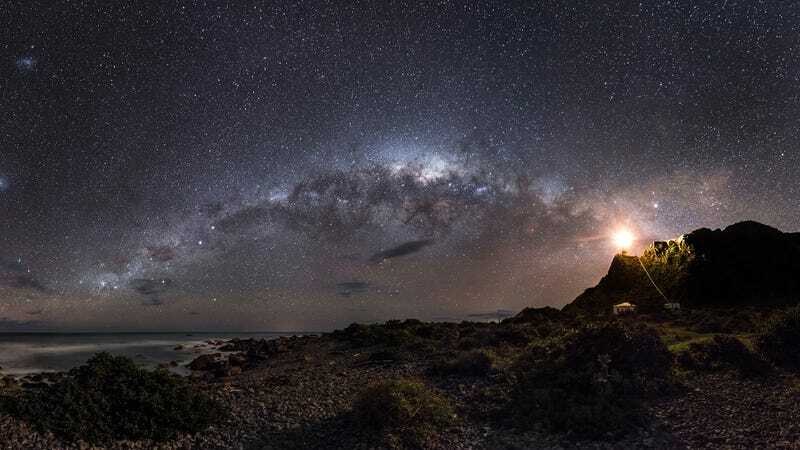 Planet-hunting scientists announced today that 22% of sunlike stars in the Milky Way are orbited by potentially habitable, Earth-size worlds. This remarkable finding indicates that there may be as many as two billion planets in our galaxy suitable for life — and that the nearest such planet may be only 12 light-years away. Top photo: "Guiding Light to the Stars" by Mark Gee. The new study, published today in the Proceedings of the National Academy of Sciences, suggests that Earth-like planets capable of supporting life are far more common than previously thought. To reach these figures, a research team led by Erik Petigura from the University of California, Berkely, used the National Aeronautics and Space Administration Kepler telescope to scan 42,000 Sun-like stars with the transit method of detection. Of the 603 planets found, 10 were the size of Earth, had rocky surfaces, and were situated within the habitable zone. And by habitable zone, astronomers refer to that narrow band within a solar system in which rocky planets can sustain liquid water and a complex atmosphere — precursors to the onset of microbial life. This survey is considered the first estimate of the frequency of Earth-like planets around Sun-like stars — and in orbits large enough to lie within the so-called Goldilocks zone. The astronomers' results showed that roughly one in five sunlike stars harbor Earth-size planets orbiting in their habitable zones. The figure of 2 billion Earth-sized planets is a conservative estimate. But there are about 200 billion stars in our Galaxy, with 40 billion of them like our Sun. According to study co-author Geoff Marcy, that could mean there's upwards of 8.8 billion Earth-like planets around sunlike stars. Others place the figure at an even higher 11 billion. Relatedly, Red Dwarfs may host as many as 60 billion habitable planets in the Milky Way. Read the entire study at PNAS: "Prevalence of Earth-size planets orbiting Sun-like stars."